"Mr. Bilbo, where're you off to?" ..."I'm going on an adventure!" Let me begin with a disclaimer: I haven't actually seen The Hobbit movies. Oops. Sorry to disappoint you guys (I only watched LOTR), but I obviously won't do this post justice. My husband, on the other hand, is a fan of the movie. 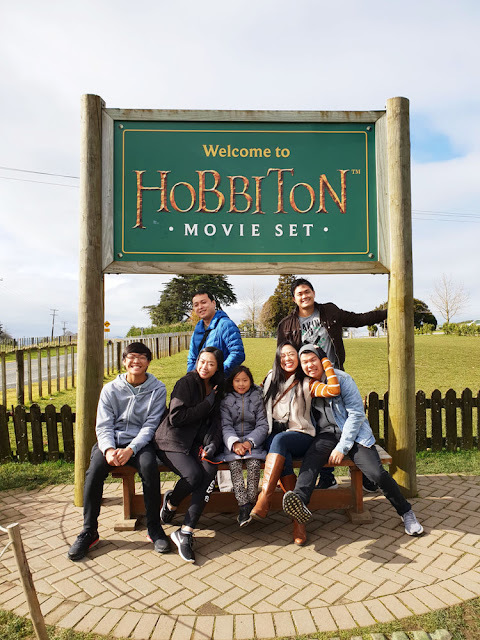 With the Hobbiton set as our first stop, he said "Okay, we can go home now" because he said that he's already so happy, this would be the highlight of his New Zealand trip. Even though I didn't see the movies, I still enjoyed this activity so much. I mean, it was like stepping into a live storybook. 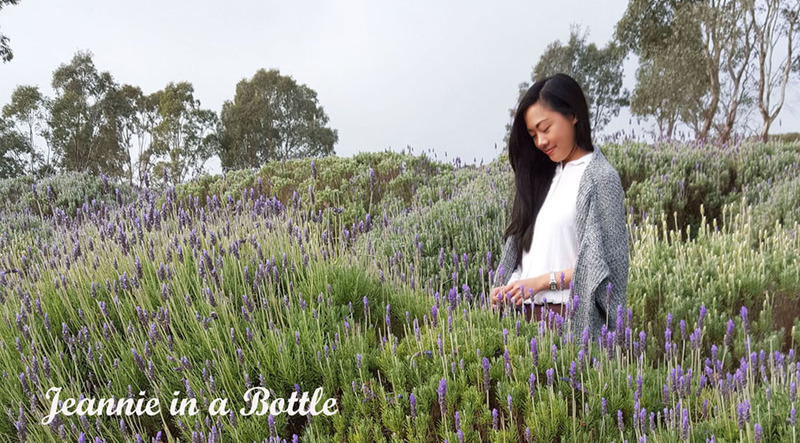 Like your imagination has suddenly come to life. Originally, I was going to book the tour from The Shire's Rest which would be $84 per person. 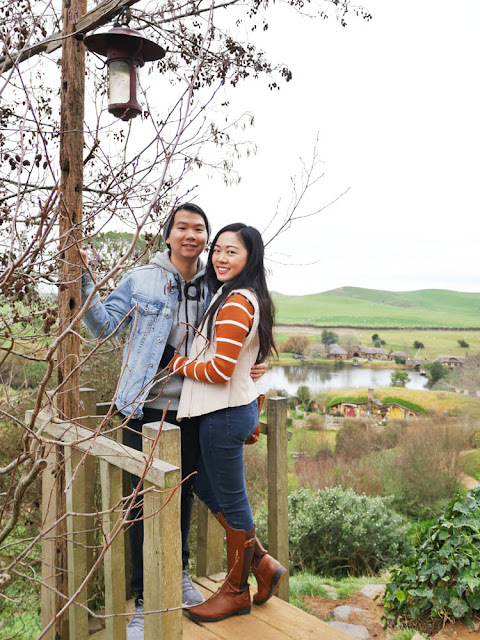 But we decided to book The Trilogy Experience instead which would be $302 per person but it would be a package to include a Te Puia and Te Po Tour and Waitomo and Ruakuri caves tour (more on those next time). It was so tempting to go for an evening banquet tour to "feast like a hobbit" but I'm just not paying an extra $100+ for a feast. 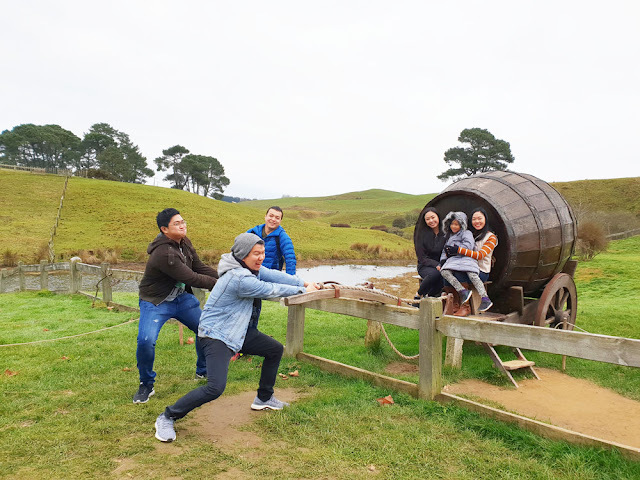 New Zealand is an expensive place to travel, you know. 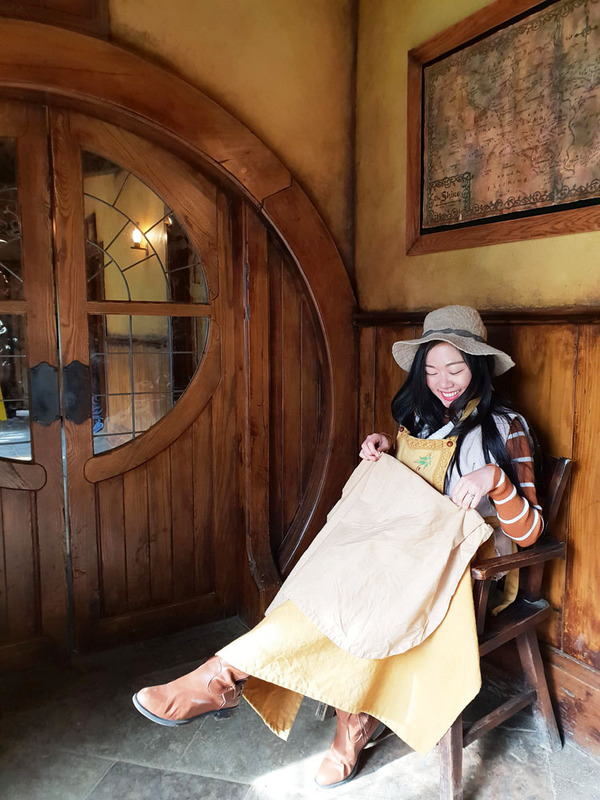 From the Shire's Rest cafe, we hopped on a bus with our guide and on the bus, you get to watch a video on a screen where they tell you a little bit about The Hobbit movies, filming, and the history of preserving the movie set. I'll spare you the details so I don't spoil it for you. For 2 hours, you get to follow your guide along the 12 acre set. 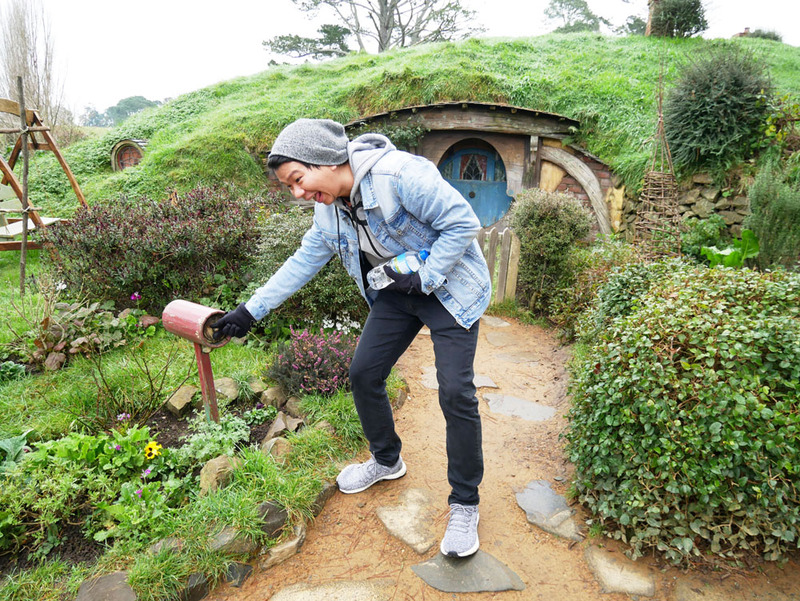 They stop here and there to point out areas where important scenes were shot such as Bilbo's birthday party. They also stop at some areas to give the group a chance to take some photos. I absolutely love how they put so much attention into details. 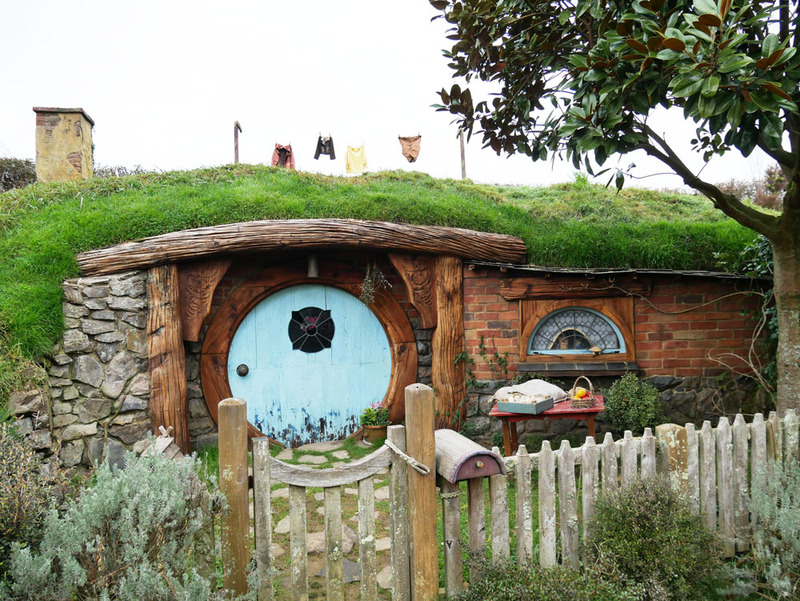 Also, how cute are the little hobbit clothes hung out to dry in the photo below? It was certainly a family friendly activity that I think people of all ages would enjoy. 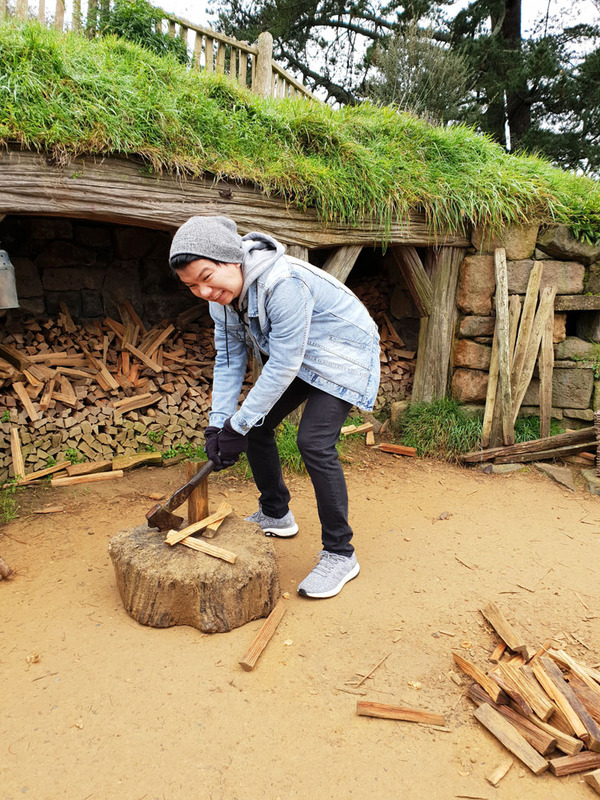 You also get to try out some hobbit costumes. And you get a complimentary drink. I had gingerbeer. 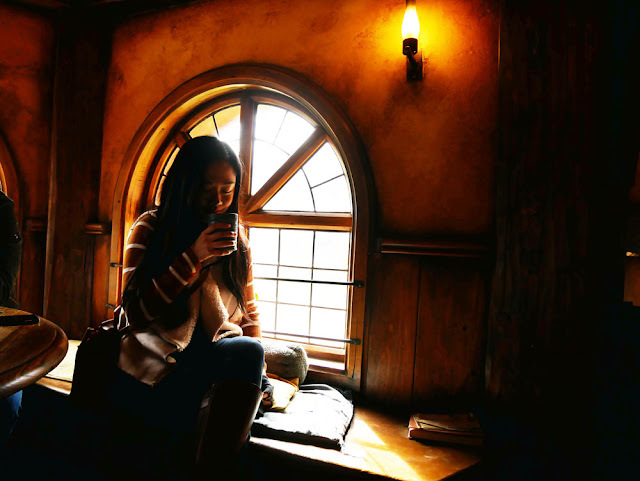 No, not butterbeer, you're thinking of the wrong movie franchise, you muggle. Lol. I'm not a huge fan of ginger, nor beer, but gingerbeer, a non-alcoholic drink, was surprisingly good. 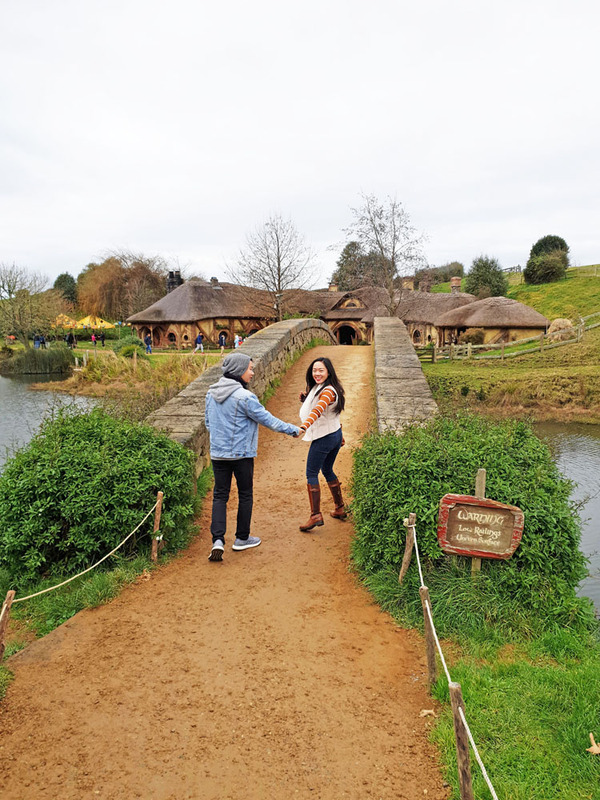 The Hobbiton Movie Set is certainly something that you just can't miss when you visit New Zealand. It's amazing to see how much work is put into these movies. I'm glad they didn't tear this set down. Now, we get a chance to enjoy it. 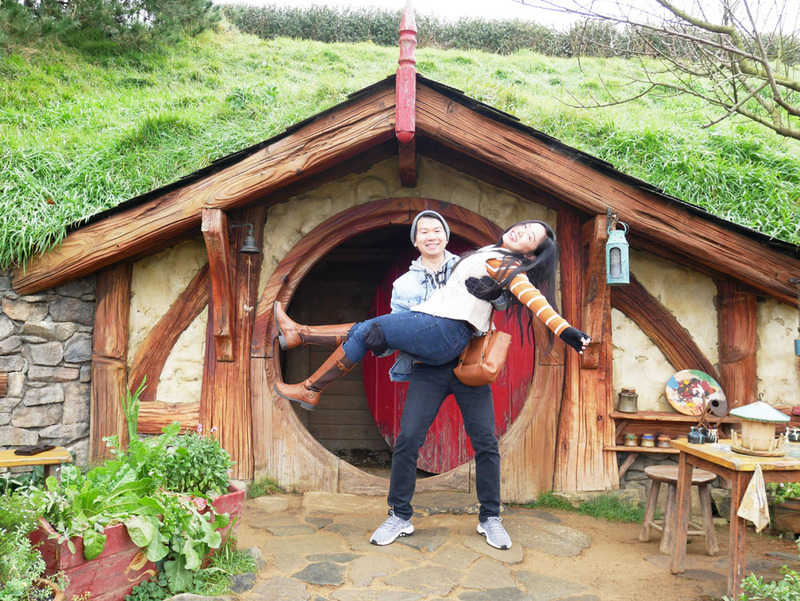 Are you a fan of The Hobbit movies? What's your favourite hobbit trivia? I haven't seen any of the hobbit movies either but this is still cool! What a fun family reunion Jeanne! I can tell everyone is having a blast at the Hobbton Movie set. That ginger beer sounds right at my alley. I would definitely visit this place. OMG how fun! I heard about this after I watched the movies, but never saw the pictures. What a cute spot. You guys must've had a blast! I also haven't seen the hobbit movies, but know this place is so popular. Ugh New Zealand seems so beautiful! Was the coffee amazing? You guys are so cute! I've seen a bunch of photos of this place all over the internet, and it's just as amazing! This has been on my bucket list for so long. Thanks for sharing dear! Looks amazing there, such great photos! 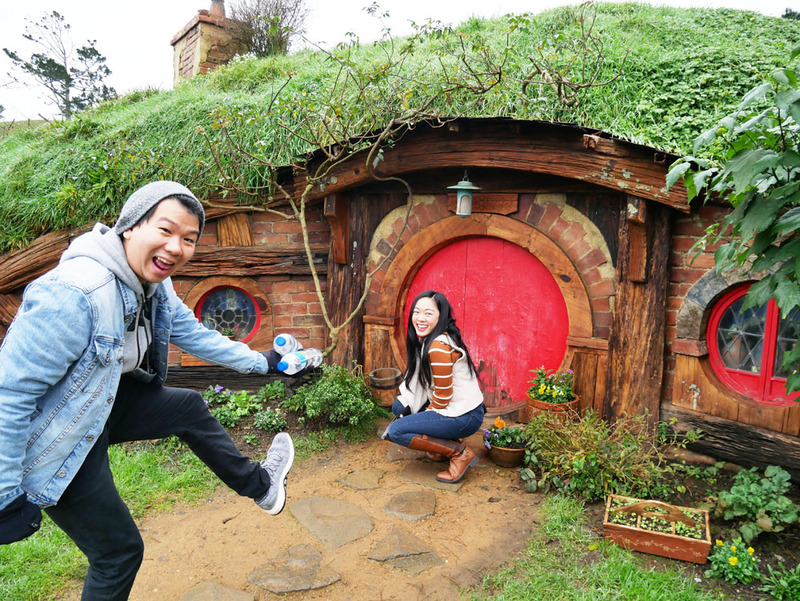 Wish I could fly to NZ right now and visit this place! I love your pictures anyway , great shot! Looks so beautiful there! I wouldn’t have guessed new zealand was such an expensive place to travel. I always thought it would have cheaper than australia for some reason haha Looks like an amazing trip anyway! Oh wow! This looks like so much of fun! I neither saw these movies but I see it is fun to visit the movie set! This place looks so magical ! Love these pictures ! 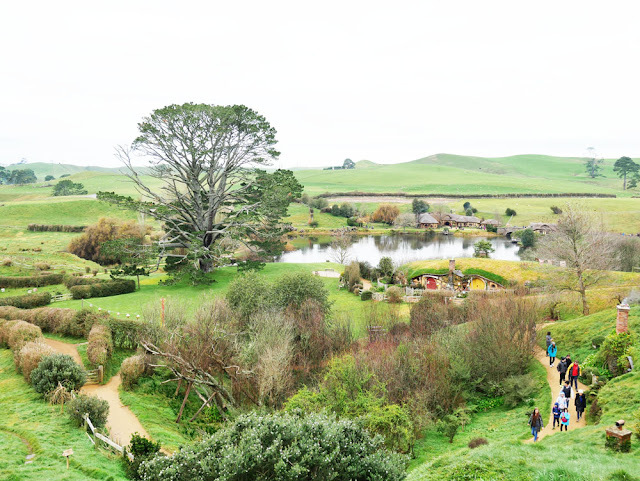 Oh wow absolutely love this I would so love to go and visit Hobbiton! Ahh, too much fun- so glad you got to go! this is so cool! what a fun adventure! This would be so fun to go from one side to the other and to have 12 days to do so in!! So jealous!! Love all of these photos! New Zealand is such an amazing place. wow, it looks exactly the same as it did in the films. I would love to visit this place. Thanks for sharing, I'm a big fan of Tolkien and his works. OMG Looks so fun!! So wana go there. So fun! Love all the photos! i would really love to visit..looks so fun. 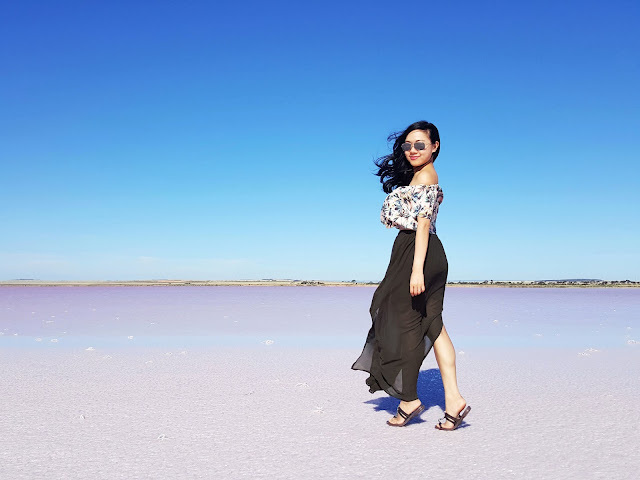 Oh wow - this is such a beautiful post and loving all your photos! Looks like you had such a wonderful time! omg I really want to go to New zealand! This is such a cute post, I love your NZ adventures you guys Thanks for sharing! I love that you have a sibling reunion! New Zealand is GORGEOUS! Love the greenery all around you. Pretty cool that you got to enjoy the experience of the tour! Nice to see more pics in this area in one post. It still looks the same when we visited in 2009 except that the hobbit holes are painted and the addition of straw huts. Good to catch this up in your blog. Wow! Being a fan of the movies I love this place.